Turn your plain tissue box into something beautiful with our Hanging Floral Tissue Sleeve! Aside from its exquisite design, it features a unique hanging tassel which allow you to hang it elegantly on walls – helping you saving space as well! Double your shoe rack’s storage space instantly with our Extendable Shoe Rack Organizer! As its name suggest, this unique organizer features an adjustable length to suit any shoe rack. Perfect for sneakers, heels, slippers, flats and more, maximise your footwear storage today! By hanging your footwear, our Modern Hanging Slippers Holder help to reduce mess while optimising your living space. 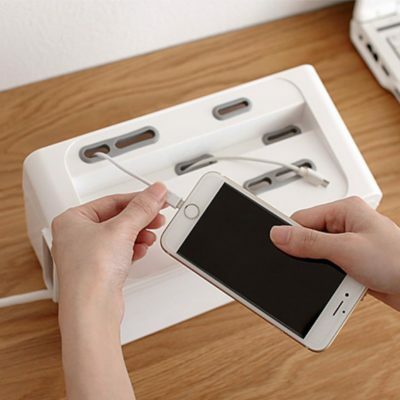 Besides, this holder features a sleek, minimal design that is sure to complement your nest! Unassuming yet handy, our Multi Home Holder is designed to be useful in various places of the house! In the living room, it holders keys and remote controls easily. In the kitchen, it can be used to hang towels and hold sponges. While in the bathroom, its perfect as an accessories organizer! It multi-purpose design allows you to keep your house neat and tidy!